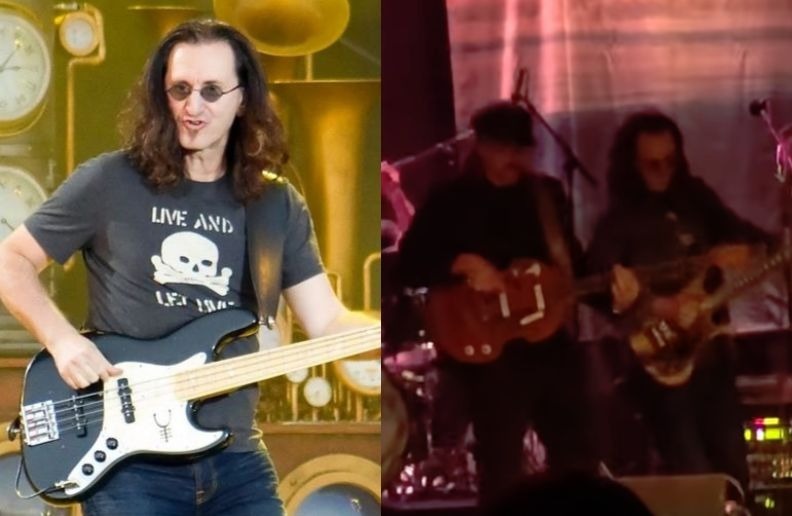 Rush bassist and lead singer Geddy Lee participated in a show of the Claypool Lennon Delirium with Sean Lennon (son of John Lennon) and Les Claypool (Primus bassist) in Canada. On the occasion, Geddy Lee performed a version of the song “Tomorrow Never Knows”, from The Beatles with the group. Currently, The Claypool Lennon Delirium promotes their new studio album, “South Of Reality”. The album was released in February this year. Geddy Lee Weinrib (born Gary Lee Weinrib; July 29, 1953), known professionally as Geddy Lee, is a Canadian musician, singer, and songwriter best known as the lead vocalist, bassist, and keyboardist for the Canadian rock group Rush. Lee joined what would become Rush in September 1968, at the request of his childhood friend Alex Lifeson, replacing original bassist and frontman Jeff Jones. Lee’s first solo effort, My Favourite Headache, was released in 2000. An award-winning musician, Lee’s style, technique, and skill on the bass guitar have inspired many rock musicians such as Cliff Burton of Metallica, Steve Harris of Iron Maiden, John Myung of Dream Theater, Les Claypool of Primus, and Tim Commerford of Rage Against the Machine and Audioslave.